Do your employees look forward to coming to work? 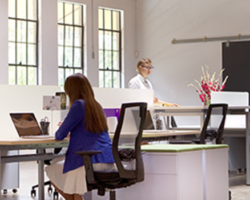 If not, consider these six workplace design trends for creating a truly enjoyable workspace. Think about your workspace for a moment. How’s the light? What sort of art is around you? How about plants? Does your work align with the people sitting next to you? Is it mostly filled with workstations or shared spaces? Is it noisy? How does it affect your work? We know that where an employee works can be just as important as how they work. In other words, the physical environment that surrounds an employee, and how well it compliments their work style, can have a direct impact on both productivity and work quality. Thinking about that, does your workplace need to make some changes in 2019? If so, here are six topics to keep in mind. Ready to Rethink Your Office Layout? Your company’s culture is crucial to maintaining and attracting top talent. Your office space should reflect this culture, so you should bring Facilities managers into every conversation you have about the topic. Take, for example, Scholastic’s newly designed headquarters in New York: It’s a beautiful, fun space that tells you everything you need to know about this storied publisher. (Quartz) The average person spends a third of their life at work. 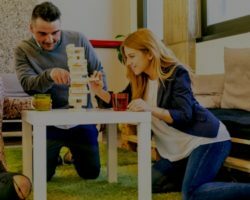 So it should come as no surprise that workplace design is an important part of their employee experience. Some office layouts may be perfect for some employees while grating on others and it’s impossible to please all of the people all of the time. 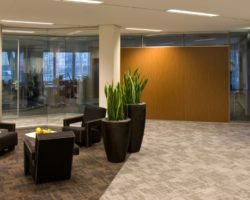 But the degree to which your various workspaces promote productivity, collaboration, employee satisfaction, and company culture can have a significant impact on your bottom line. The right facilities support partner can help.